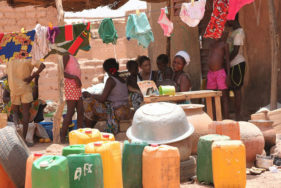 ATD Fourth World has two teams in Burkina Faso — in Ouagadougou, the capital, and in the province of Ganzourgou. Our work in both areas focuses on the same objective: using the knowledge of people in poverty to build an educational system that works for everyone and builds a future where everyone can live in dignity. Our team works in the city and its surrounding villages running activities for children, both those in school and those without schooling, and encourages the participation of the whole community in supporting children with difficult lives. We also work with children who live in the street, meeting them through activities and discussions around books in the areas where they come together to sleep, and later introducing them to skills-training workshops that we run. The long-term goal of these projects is reconciliation between the children and their families. Monthly meetings between families living in poverty and supporters of ATD Fourth World at the ATD Fourth World courtyard are spaces for creativity and expression and for reflecting on our common plans and projects. Our team runs educational and cultural workshops for children in the villages of Bollé, Zémalga, and Boulwando. The goal is not just reaching out to the children, but also encouraging adults to take an active role in the activities and to make connections between the world of the village, of the books, and of school. Since 2012, we have also organized adult meetings on themes like education, peace, etc. This program brings together adults living in poverty, supporters, representatives of government institutions, and staff members of non-governmental organizations. Together they form the “COPARET” committee in which people living in poverty are considered indispensable partners in achieving the goal of quality education for all students. 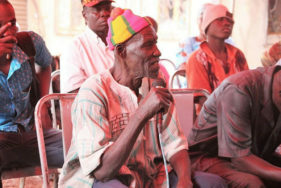 The committee’s recommendations seek to support the government of Burkina Faso as it designs and implements programs in the United Nations’ post-2015 development agenda. 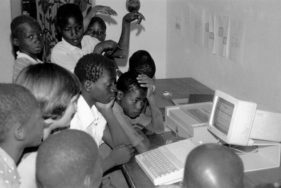 ATD Fourth World–Burkina Faso, founded in 1981, was the first ATD Fourth World team in Africa.